I don’t know if we’ve ever visited a city with as many incredible viewpoints as Lisbon. Regardless of where you are in the city, the nearest scenic overlook is almost certainly nearby… and just as certainly worth the effort of checking out. 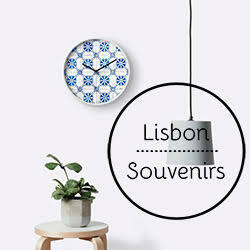 We’ve already written about many miradouros in other articles, but thought we’d sum up the spots we visited, whenever we needed to be reminded of Lisbon’s beauty. In the hills just to the northwest of Lisbon is one of the city’s more unique viewpoints. 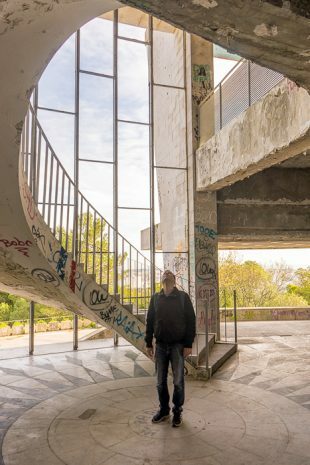 Although the former Restaurante Monsanto has been abandoned for years, its circular shell has remained intact. You’re no longer able to order a delicious meal, but nothing is stopping you from enjoying the views. 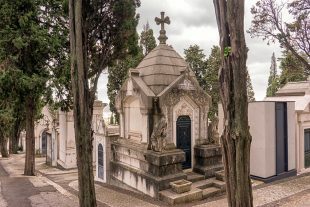 Found next to Campo de Ourique at the western terminus of the #28 tram line, the hillside Cemitério dos Prazeres (Cemetery of the Pleasures) just about lives up to its suggestive name. As far as corpse-parks go, this is about as pleasurable as it gets. 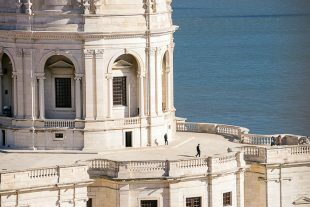 Ever since arriving in Lisbon, we had been aware of the Igreja da Santa Engrácia, with its massive dome capping the skyline of Alfama, and wondered how beautiful the church inside must be. Upon visiting, we immediately realized that, while beautiful it is… a church it isn’t. At least, not anymore. 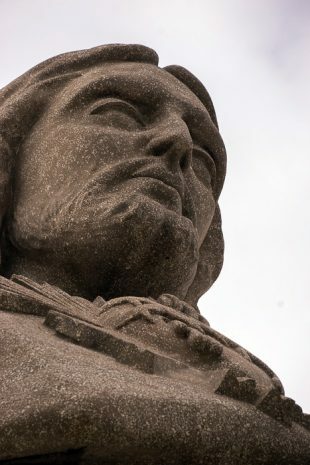 Today, the Santa Engrácia holds the National Pantheon, which honors some of the country’s most prestigious historical figures. In 1998, Portugal honored the 500th anniversary of Vasco da Gama’s historic journey to India by constructing the longest bridge in Europe. 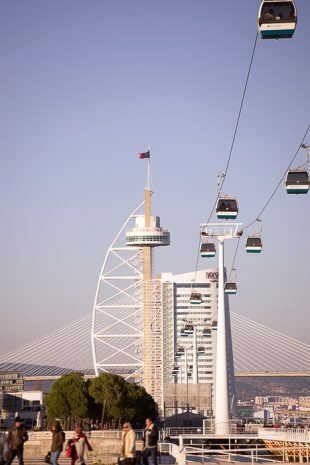 A gondola provides incredible views over the bridge, the Tagus estuary which it spans, and the former pavilions of the 1998 World Expo. 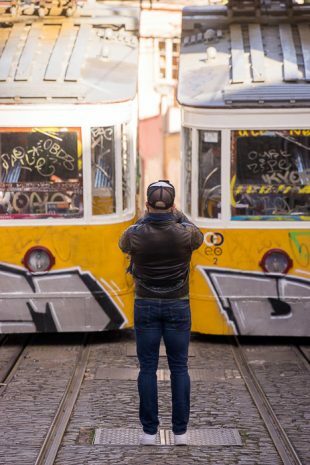 Connecting the Praça dos Restauradores to the Bairro Alto, the Ascensor da Glória has been in operation since 1885. We took a ride to the top, where we checked out the views from the Miradouro de São Pedro de Alcântara, one of the most popular viewpoints in the city. 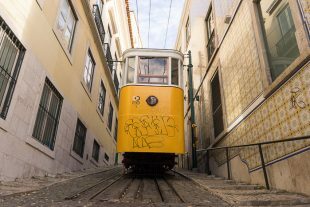 One of the most photographed sights in Lisbon is the Santa Justa Lift, connecting Baixa to the Bairro Alto. 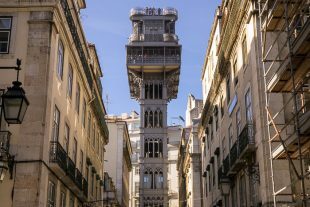 Built at the turn of the 20th century, this eye-catching Gothic elevator is still in use, although it’s currently more for tourists than for locals. 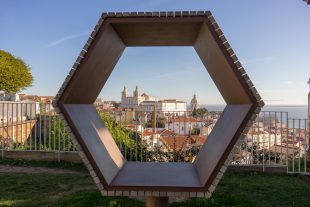 The Jardim do Torel is set high on a hill in the neighborhood of Santo António, and the easiest way to reach it is with the Ascensor do Lavra. Once at the top, the garden and the surrounding neighborhood provide plenty of sights for an entertaining day out. 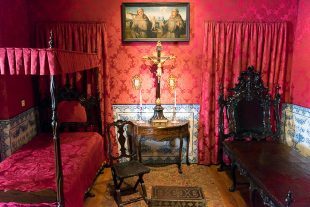 Set within a 17th-century palace across from the popular Miradouro das Portas do Sol, a viewpoint that looks over Alfama and the cruise ship docks, the Museu de Artes Decorativas (also called the Fundação Ricardo do Espírito Santo Silva, or FRISS) introduces visitors to the exquisite furniture and design of Lisbon during the Age of Exploration.